Everything you ever wanted to know about making films and videos with your smartphone. Be inspired. The Voice of Mobile Film™ is for everyone who ever wanted to or is curious about making movies and videos using smartphones. 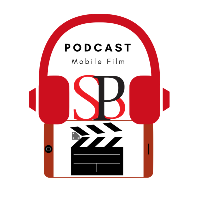 S. Botello Productions™ (SBP) is a pioneer in the mobile filmmaking industry, one of the first–if not the first–to bring films shot with only mobile phones to the big screen in a traditional film festival style in 2009 with the International Mobile Film Festival in San Diego, California. Do you wonder about making films and videos using your smartphone camera? How? Why? Who is doing it? What are the benefits? What are the challenges? How to overcome challenges? How to succeed in the film and video industry using your smartphone camera to create content?